I'm popping in with a quick update and a card today! Anyways, hopefully I'll get back to stamping this week as we get a little more settled in, have a great day! 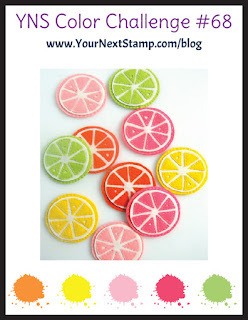 I have my last guest project for Your Next Stamp today over at the Your Next Stamp Blog! I used the color challenge from Challenge 69 to make this sweet little princess card with the Little Darling Rapunzel stamp set. There's still a week to play along with the challenge! 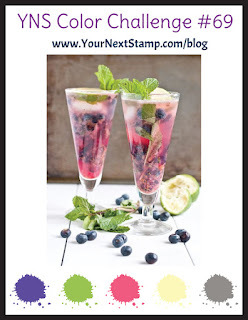 I have a fun card today on Your Next Stamp's Blog with a stamped background! I used the sentiments and a few images from Little Darling Mermaid and Sea Sentiments to stamp my pretty gradient background and then stamped the rocks and waves on a strip of vellum and added my mermaid on top. eek! I'm surrounded by boxes! We close on our new house in 3 days and my life is currently chaos! wish me loads of luck! I stamped everything on some Bristol watercolor paper and then colored it with my Zigs, I kept the colors to 5 different markers (I didn't have the perfect shade of pink so the lighter pink was done with two different shades) and lots of water. I fussy cut everything out and added some fun texture with a wink of stella shimmer pen, glossy accents, and of course, googly eyes. I also added some thread for the balloon strings. I used some distress ink to watercolor my background and added my my sentiment to the base before I glued everything down. It was time consuming with all of the painting and cutting but pretty simple overall. Go check out some more inspiration at the Your Next Stamp Blog and play along in the challenge!